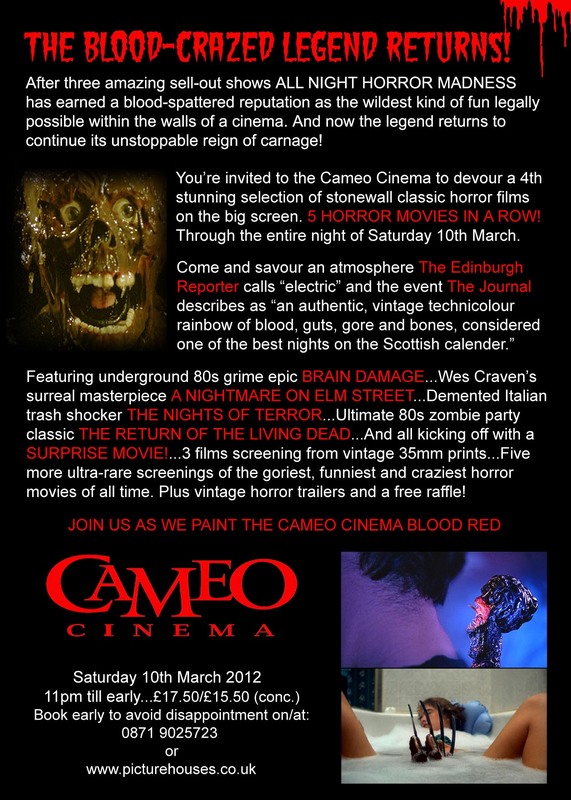 After three amazing, sell-out shows ALL NIGHT HORROR MADNESS has earned a blood-spattered reputation as the wildest kind of fun legally possible within the walls of a Scottish cinema. And now the legend returns to Edinburgh to continue its unstoppable reign of carnage! 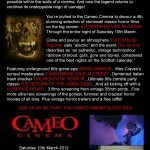 You’re invited to the Cameo Cinema to devour a 4th stunning selection of stonewall classic horror films on the big screen. 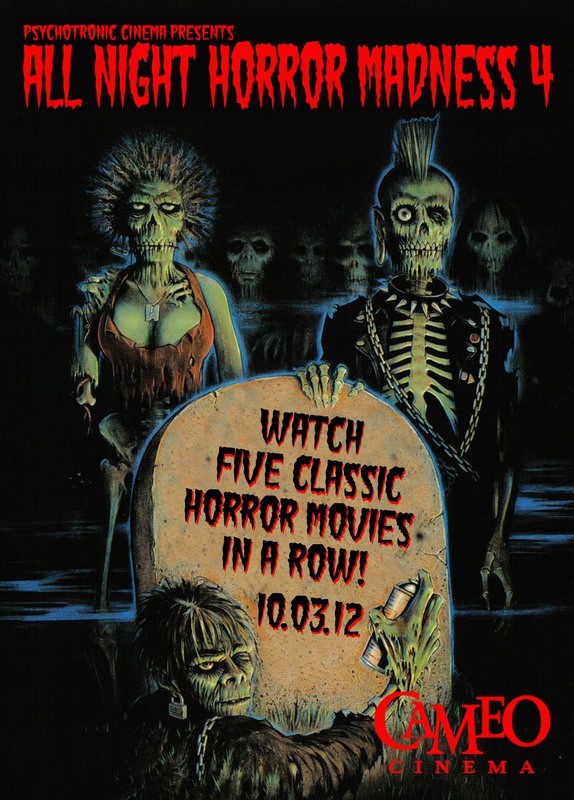 FIVE HORROR MOVIES IN A ROW! Through the entire night of Saturday 10th March 2012. And all kicking off with a SURPRISE MOVIE! Three films screening from vintage 35mm prints…Five more ultra-rare screenings of the goriest, funniest and craziest horror movies of all time. 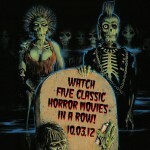 Plus vintage horror trailers and a free raffle! Well there you have it. A stonking line up I’m sure you’ll agree! This entry was posted on Sunday, March 4th, 2012 at 3:53 am	and is filed under Events. You can follow any responses to this entry through the RSS 2.0 feed. You can leave a response, or trackback from your own site.